The owners of modern tablets can access the Internet not only via wireless wi-fi network but use mobile Internet. If you find out balance from a mobile phone can easily almost every, not all know how to check the balance on a tablet a Megaphone. To check the balance on a tablet a Megaphone, it is necessary to include the mobile Internet. Without access to the network MegaFon to find out information about the debt is impossible. To clarify how much money is left in the account, you must go to the website operator megafon.ru. Usually at the top of the portal immediately displays information about the phone number and account status. If this data does not appear, you must go to the personal Cabinet. To enter your personal account, enter your phone number in a special window on the website and password. To receive the password, please make a request, it will come to your tablet in the message. In your account the Megaphone, you can not only find the balance, but it is possible to manage the various services offered by the operator. Using the site operator MegaFon and the personal account is possible even in the absence of funds in the account, as the traffic from the portal megafon.ru is not charged. On some tablets you can use these same tools. You can also control your balance of the Internet Megaphone, if you install the free program Balance widget. After downloading and installing the widget you need to enter your username and password of the personal Cabinet, after which the device screen will show the updated balance. Connecting the special service to "Balance the family", you can also check through Internet Megaphone on tablet with mobile phone. 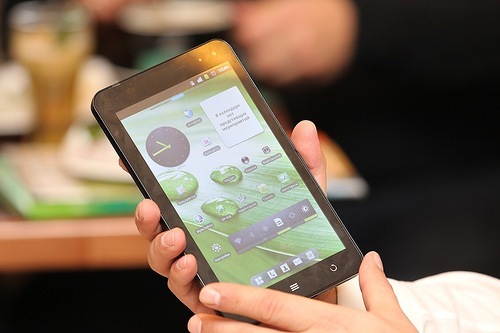 The service can be activated only with a SIM card that you use in the tablet. To add a number, which you can check the balance, please send an SMS to the number 000006 text that contains numbers and plus phone. If you have any difficulty with the balance test on a tablet a Megaphone, you will always be able to see a specialist in the customer service center with your passport. There you'll connect with the necessary services and how to use them.